The JEST (Join Entrance Screening Test). 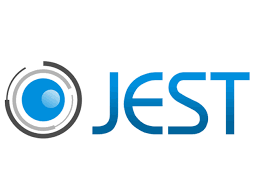 The Science and Research Board recognizes JEST as a National Eligibility Test (NET). This is conducted once in a year, in the month of February. JEST exam helps in seeking admission for a PhD or Integrated PhD programme in Neuroscience or Computational Biology or Physics or Theoretical Computer Science in one of the Participating Institutes. Level: JEST is Conducted at National Level. Frequency: This Examination is conducted Once a year and it is the month of February. Exam Paper: JEST Question Paper consists of 3 parts, each part is of Multiple Choice Questions. The official website of JEST (Joint Entrance Screening Test) is jest.org.in has released one important notification. The JEST 2019 will be conducted on 17th February 2019. The Admit Cards will be available on the 22nd January 2019 evening, by visiting the official website you can download the admit card. Admit Card: JEST 2019 Admit Card will be released on 22nd January 2019 in the official website. AGE: There is no age limit for the Candidate appearing for JEST. The Eligibility Criteria for different Integrated Program varies from one institute to other institutes. M.Sc. in Physics is the qualifying degree. Some institutions also accept B.E./B.Tech./M.Sc./M.E./ M.Tech in Applied Physics and Mathematics. M.Sc./M.E./M.Tech in Computer Science and related streams. M.Sc (Physics/Mathematics), B.E/B.Tech/MCA in Computer Science. M.Sc./M.E./M.Tech/MCA in any discipline or science with some mathematical skills and strong knowledge of biological problems. B. Sc. (Physics/Mathematics). For NISER, B.Sc (Physics) or B.E./B.Tech in Engineering (Physics) with 60% and above. For IIA, B.Sc. (Physics/Mathematics) /B.E./ B.Tech in Electrical/ Instrumentation/ Engineering Physics/Electronics and Communications/ Computer Science & Engineering/Optics and Photonics will also be considered. IISER-Pune, ICTS-TIFR, NCRA-TIFR, and TIFR-TCIS, B.Sc. (Physics) will be considered. B.Sc./B.E./B.Tech./M.C.A. in Computer Science or related discipline. M.Sc. (Physics/Applied Physics)/Post-B.Sc. (Hons.) in Optics and Optoelectronics/Radio Physics & Electronics. B. Sc. (Physics) or B.E./B. Tech. in any discipline. Registration: Candidates can Register for JEST 2019 from 10th November 2018 to 24th December 2018 through the official website. Registration Fee: Candidates should pay the Fixed Registration amount to the Conducting Authority to Complete the Registration Process. The registration fee for General Category is INR 300, and for SC/ST is INR 150. Registration fee is to be paid online through Debit Card/Credit Card/Net Banking no other mode of fee payment will be accepted. Documents Upload: Candidates will have to upload the Scanned Copy of Photograph and Signature. Registration: Candidates can visit the Official Website and can do Online Registration from 10th November 2018 up to 24th December 2018. Step 1: Visit the Official Website and Register. Step 2: Now, login to JEST 2019 home page by entering the user name and password. Step 3: Now, upload your passport size photo and scanned signature with the mentioned sizes and format. Step 4: Verify all the details and pay the fee through online mode. Now submit the application and take a print out for your future reference. JEST admit card will be available 22nd January 2019 evening, by going to the official page you can download the admit card. The candidate should download the admit card and should carry to the examination centre without fail. To check the process of. how to download the admit card, click the link. Open JEST 2019 Admit Card link, enter username and password. By entering the correct details, The admit card will be visible. Check all the details in the Admit Card, if any, changes required contact JEST authorities immediately. Admit Card contains the Candidate details like Name, Roll Number, Father's Name, Signature, Photograph, Date of birth, Test centre address, Examination Date, Reporting time, Examination duration, Do’s & don’ts of the exam. Kozhikode (If this centre has no sufficient applications then the Second option will be allotted). Mangalore (If this centre has no sufficient applications then the Second option will be allotted). JEST 2019 Exam consists of 50 questions. All the Questions are multiple choice questions (MCQ's) and the paper will be divided into three parts which contain different patterns. The total marks are 100. Based on the part the marks will be assigned. JEST 2019 Syllabus varies for different programs from institute to institute. Elements of probability theory, curvilinear coordinate systems, Vector algebra, and vector calculus, tensors, linear algebra, elements of Sturm–Liouville theory, Special functions, Complex analysis, Fourier series, and Fourier transform, Linear differential equations, Laplace transforms, Elementary properties of discrete groups, error analysis. Symmetry and conservation laws, Newton’s laws, generalized coordinates, conservation of energy and momentum, collisions, the principle of least action, Lagrangian and Hamiltonian formulations of mechanics, Small oscillations and normal modes, central force problem, Kepler problem, special relativity in classical mechanics. Variational principle, Schrodinger equation, Uncertainty principle, central potentials, the hydrogen atom, Orbital and spin angular momenta, the addition of angular momenta, Hermitian operators, Matrix formulation of quantum theory, unitary transformations, time-independent perturbation theory, time-dependent perturbation theory. Elements of kinetic theory, work and heat, thermodynamic potentials, Laws of thermodynamics, Statistical ensembles, Maxwell’s relations, partition function, harmonic oscillators, Classical and quantum statistics, classical ideal gas, Fermi and Bose gases, black body radiation, statistics of paramagnetism. JEST 2019 will be conducted on 17th February 2019 and the results are expected to be announced in the month of March. Candidate can check the Marks from the Official Website from 26th March 2019. Visit the JEST Official Website. Check for the JEST 2019 Results and click on it. Enter the Application number and other details asked. Download the Marks Sheet and take the Print Out of the same for future references.